If you are skinny and want to gain some weight and muscles than you will be very keen to know the foods that help to gain weight quickly. Gaining weight is your priority than you should do it in a healthy way. eating junk food will not help so, choosing the right food is very important. 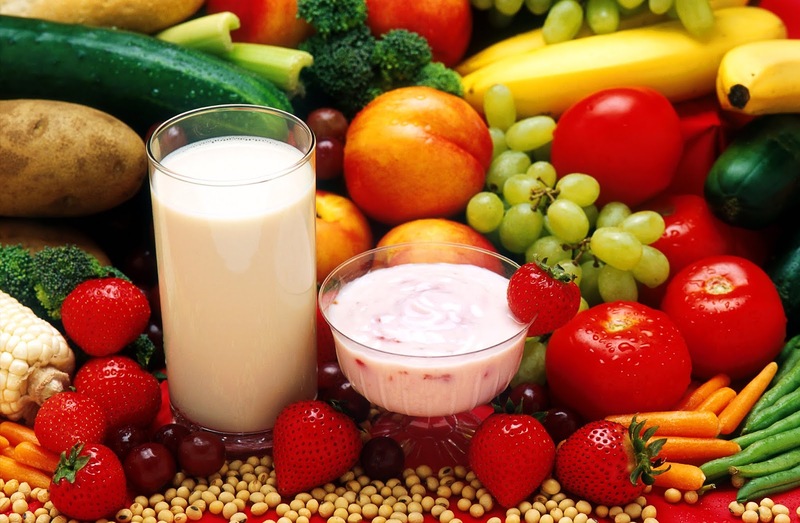 Here I have listed out the top 11 healthy foods that can help you gain weight fast. So, without wasting any time lets see the list. Also see How to gain weight naturally at home. Also check out the Exercises that help to gain weight at home. Milk is one of the most consumed drink in the world and comes with a lot of benefits to human body. Some people directly drink it and some prefer preparing a milk smoothie combined with bananas, chocolate and many other eatables. It is one of the oldest supplement used to gain weight and for muscle building. It is a tried and tested method to gain weight in a healthy manner. It is a good source of protein, calcium and vitamins to help your body to stay fit and healthy. Rice is very commonly consumed meal in many countries and many tasty variations can be prepared from it. There are many delicious dishes that can be prepared from rice and you will find a lot of interesting recipes out there on internet. It is a good source of carbs and combining them with various other sources of proteins and healthy fats can be a great combination to increase your weight naturally. There are a lot of body builders out there who use eggs to get some extra energy and calories to support their intense workouts. It is a good source of protein and fats that help in building some healthy muscles. You can add 2 to 3 whole eggs in your diet to begin with and later on add few more if you plan to do some intense workout. If you are a vegetarian than having paneer is a good replacement for eggs. 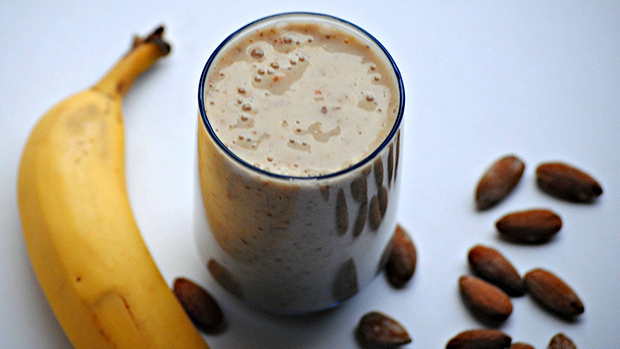 Having homemade protein smoothies is very effective in gaining some extra weight. You can prepare different varieties of it according to your taste and preferences. You can easily add around 500 to 1000 calories to your daily diet by just drinking two to three glasses of these smoothies. Banana milk shake, chocolate milk shake etc. are some of the varieties to try. Add 2-3 bananas to 500 ml of milk and add some nuts or nut butter to it to increase the calories and your protein smoothie is ready. Try to avoid readymade juices as they contain a lot of sugar and are not as healthy as the homemade smoothies. Prepare it yourself and drink when it is fresh. Nuts and nut butters are very rich in calories as well as protein and healthy fats. You can easily add a lot of calories to your diet without getting your stomach full. You can eat the nuts directly or buy 100% pure nut butter and add it to various dishes. By simply adding small quantities of these you can easily help yourself in gaining some healthy weight very quickly. Meat is one of the best source of building some healthy muscles and gaining some weight in a quick time. It is one of the oldest method used by the bodybuilders to build muscles as it is a rich source of protein. For vegetarian readers, you can add some paneer to your diet as paneer is a perfect alternate to meat and very rich in nutrients. Dark chocolate is another food that can help you to gain weight quickly as a small bar of chocolate contain a lot of calories. It is a good antioxidant and also rich in other essential nutrients for our body. You can also use your favourite chocolate to gain some healthy weight and not only for the pleasure of eating it. Yogurt is an excellent food to have as you get protein, carbs as well as healthy fats in a balanced manner. You can combine it with various varieties of dishes as it is used in various dishes. You can also add it to your smoothies to give it a creamy feel. Pasta is very dense in calories and a good source of healthy carbs. You can add a bowl of whole grain pasta to your diet and add some healthy weight to your body. It tastes good and you can add some weight without staying away from tasty dishes that you love to have. Starches help you to add some healthy calories to your diet in a cost effective manner. You can easily add these to your dishes or can be prepared a separate side dish. Oats, corn and potatoes are a great source of starches and they are easily available at most of the places. Sweet potatoes taste very good and I personally love to have them. They don’t only give you extra calories but various other nutrients to help your body stay fit and also build some good muscles. Avacados are very rich in nutrients and you can easily add some weight to your body in a healthy manner. It is rich in healthy fats that will help you in building some good muscles in a quick time. Prepare a smoothie of it and have it before or after your workout. You are definitely going to see growth in your muscles. These are some of the best foods that will help you to gain weight and build some healthy muscles quickly. The foods that are mentioned here are easily available at most of the places and taste very well. Do share this with the ones that may need and don't forget to bookmark this site to visit again. Thank you for your valuable time. I hope it has helped you in some way or the other.